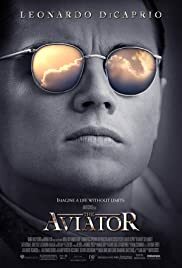 There is no doubt that THE AVIATOR is the masterpiece of both director Martin Scorsese and actor, Leonardo DiCaprio. 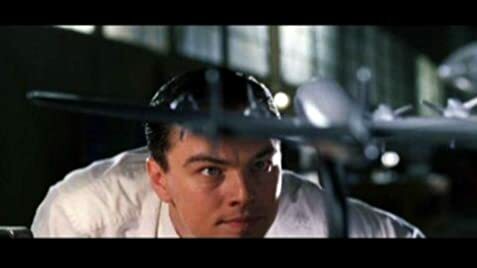 DiCaprio becomes Howard Hughes. 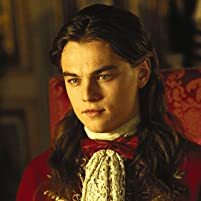 The actor is so profoundly absorbed in the role that the DiCaprio we know from other films cannot be found in this film. It is a bravura performance of great depth and magnitude. DiCaprio richly deserves his first Academy Award. I have never know much about Howard Hughes. This film opened my eyes to him as a personality, a businessman, aviator and his lavish lifestyle. DiCaprio no longer is the "pretty boy" from other films. The expressions he takes on are not handsome, the deeply furrowed brow, one could actually watch him, as Hughes' character, think his way through challenging situations, the mark of a highly gifted actor. 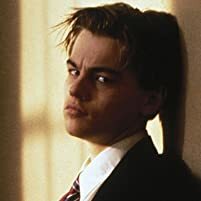 Watching DiCaprio evolve into the paranoid schizophrenic Hughes in the latter part of the film is a stunning example of pure acting. 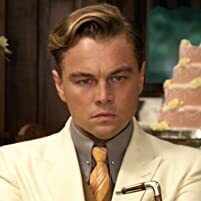 Leo deserves recognition for recreating a most difficult personality. Though the film is long, it never slows down nor gets boring and it commanded my attention from start to finish. It is masterpiece cinema for these two men and for other actors too. Cate Blanchette must be commended for her role as Katherine Hepburn. Every role was played by first rate actors. If you want to understand a piece of American history from the 30s through the 1940s, this film will illumine you. It may not be the greatest film ever made but it sure is cinema to the max and worth seeing, without a second thought.